On my previous post , I told you the tourist office story because the cooperation school/guides does not end at the office, at least not for me. There are some very active teachers that are always looking for opportunities for these students outside the classroom. I had the pleasure to meet and to work with a lovely and smart girl, Erika. So shy and quiet at the beginning but I did my best to put at her ease. 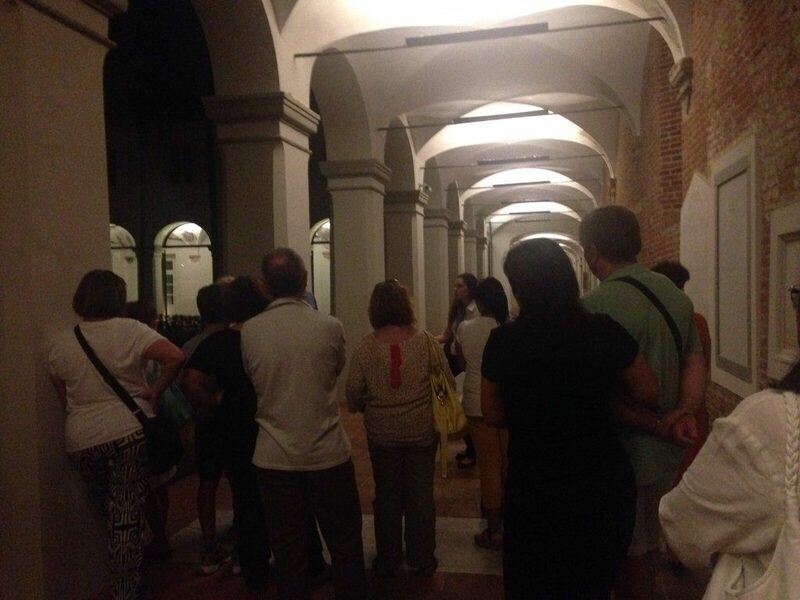 Our first challenge was the White Night in Lucca. It is a special busy night in August when stores are opened till midnight, concerts, exhibitions and free guided tours. 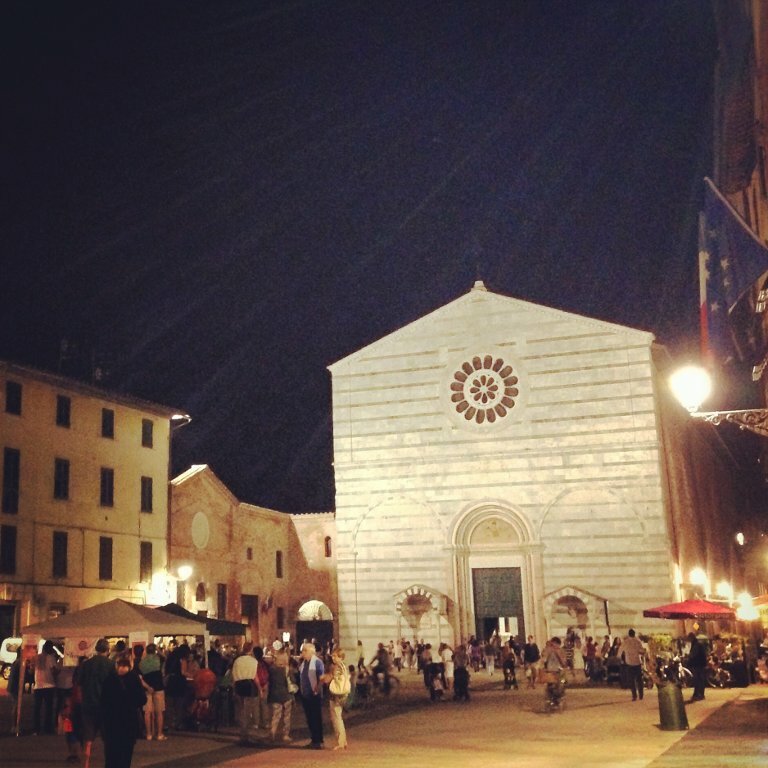 I was assigned to lead a tour in one of my favourite churches in town: San Francesco. She was my partner guide. Erika did not just listen to my explanations, but she helped me to check the booking list, to welcome people, to keep the group together and then I prepared for her a little speech so that she could be the guide for a few minutes and learn to speak in front of an audience. Trembling voice at the first tour, however by the end of the night she was so confident and spontaneous! She enjoyed it and I did, too! People were clapping and saying many grazie! A good team success! Last September she started her fifth grade which means the Esame di Maturità (Finals) at the end of the school year. It is a written and oral exam. In the following months we have been in touch. Some students had been given the task to show the highlights of the church to their younger school mates. I gave them a general overview, how to move, where to stay and how to talk and Erika was their tutor. One day, she contacted me because she decided to write her dissertation on the experience she had with me as a trainee tour guide. What a nice surprise! We met for a brainstorming afternoon to link all the ideas and materials. I gave her some suggestions and hints to work on. She has presented the essay in front of a commission formed by some of her teachers and some external ones. It will be one of her most important day in her life! Go Erika, you rock! In bocca a lupo! I am glad and can I say… proud? that my job could inspire her. It was something new for me and I really appreciated the chance to see my job from a different perspective. It’s been an useful and enriching experience for me, too. Shortly I will repeat the experience as even for this edition of the White Night on August 27, I will be assigned a place to give a tour with a student. Follow me on FB to be updated! Here is an extract presentazione maturit� 2016, I know it is in Italian but I am sure you can appreciate the result. Well done!